Posted May 24th, 2018 by admin & filed under 5G Cancer, 5G Health Risks, 5G News, 5G Transhumanism, Chemtrails, Dutch Stop5G, Health Hazards, Microwave Radiation, Mobile Phone Hazard, news, Solutions, Stop5G Activism, Stop5G News, Stop5G Related!, Stop5G.net, Surveillance Society. 5G: an incalculable, unsafe and irreversible technology! Every now and then our government invites citizens to come with their feedback. This also applies to the #5G network. 239 people, companies and institutions climbed into the pen. One of them is Grietje Leenstra from Sint Annaparochie. Below is a large part of her letter to State Secretary Keijzer of Economic Affairs and Climate. I hereby once again make an attempt to draw your attention to the one-sided and incomplete information about the 5G network. As early as 2015 – and earlier – more than 200 scientists sounded the alarm clock at the United Nations and the World Health Organization about the health risks of wireless technology. 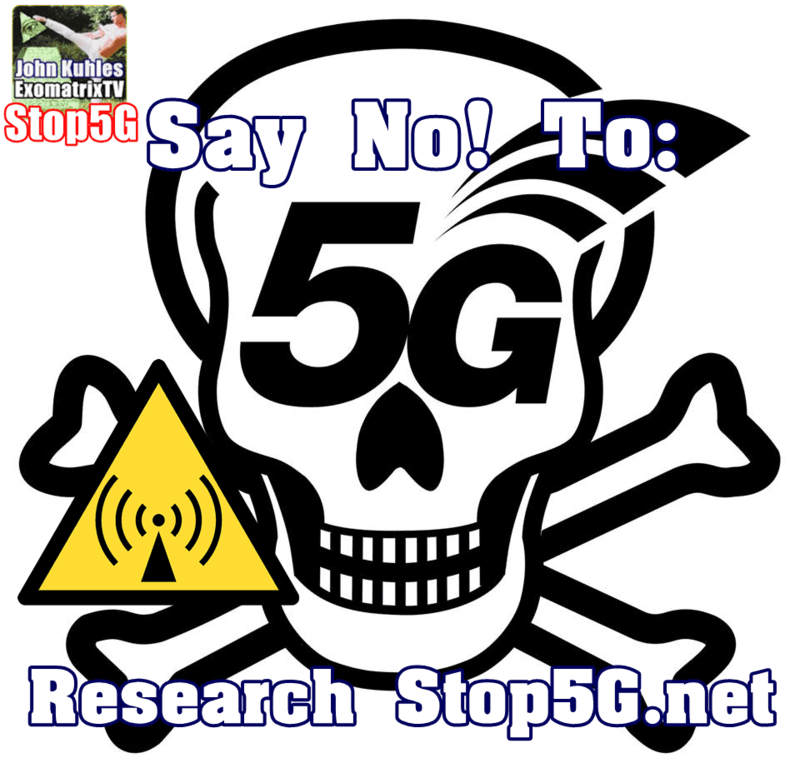 It is known to you that on September 13, 2017 no less than 180 scientists under the guidance of Professors Rainer Nyberg and Lennart Hardell from 36 countries warn about the harmful health effects of 5G and insist on a moratorium. In their letter to the European Commission they state that a thorough investigation by independent experts must first take place before the large-scale roll-out of 5G networks can commence. A lot of research into the effects of the existing radiation sources (GSM / GPRS, 3G, 4G, WiFi, DECT, UMTS etc.) already shows that already under radiation levels under the legally permitted ICNIRP values ​​(the safely supposed ??) on the living organisms. The effects include an increased risk of cancer, cellular stress, more free radicals in living tissue, genetic damage, reduction of fertility, neurological disorders and a negative impact on learning processes, memory function and general well-being of people. In addition, health damage for children is much higher, because young tissue is more sensitive to EMF ! The consequences of 5G extend beyond humans, because there is also damage to other life forms, such as animal and plant. The introduction of 5G is seen by many experts as the largest biological experiment on humanity ever. Where can people hide when this new technology is introduced and an accumulation of radiation sources is blasted through them? The telecom companies have billions in the state treasury and are eager to get started. these are one-sided and incomplete. It is obvious in whose interest such investigations are explained. Knowledge is never neutral, but is related to interests. To you, Mrs. Keijzer, to interpret these facts in the right way in the interest of everyone in the Netherlands who is faced with this new technology. Nowhere in the world is the radiation exposure, expressed in mW / m2, as high as in the densely populated Netherlands. You know that. In the current wireless technologies with radiation exposure far below the ICNIRP values, there are already many health complaints. See lecture on 21-4-2016 in TU Delft by dr L. Vriens. (..) Creating needs for anything and everything. Booming business! It shows what it is all about in our globalized world: economic growth and making money. 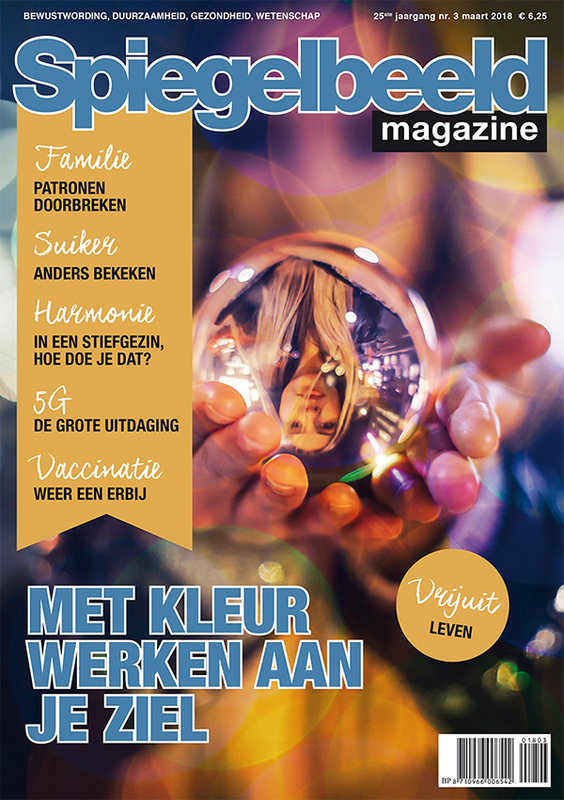 Is it really of vital importance for the economic position of the Netherlands, and especially for the North, that a 5G network will be established? Will there therefore be more activity and employment in the North? Are citizens jumping for smart cities if they are aware of the health risks of 5G? Do we want a situation like in China, where you are followed from the cradle to the grave: five times by red light and you will never be eligible for a mortgage again? And that from the point of view of safety? Would farmers no longer be able to see how full their silos are? Are citizens waiting for trash cans with sensors? Do we want to be approached by petrol pumps that tell us that we are far from home, that we have not paid the road tax and that the tires have too little profile? Can we speak of any “human” activity here? This is CREEPY …… .. Privacy and health sacrificed to the convenience and unprofitable gadgets. Who would not rather keep the wheel of his car in his own hands? Who wants to live in a digital world reduced to wavelengths and frequencies with all the health risks involved? For a moment: was there independent research into the cause why in 2016 and in the beginning of 2017 five cattle farms in Stitswerd in Groningen were running all cows at the same time? Sweaty, disoriented and almost deadly depressing each other. 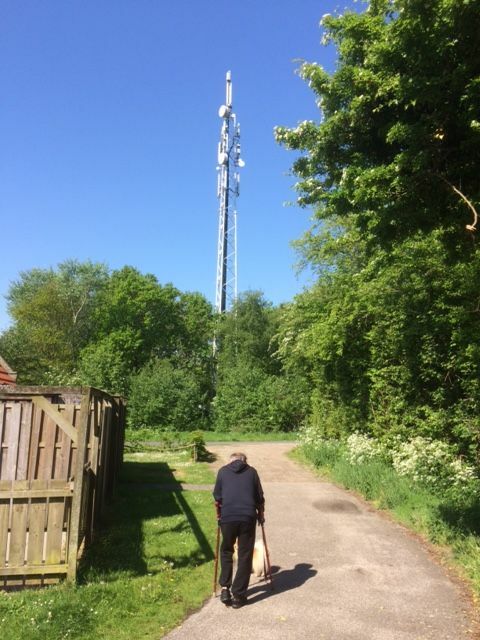 Is it a coincidence that frequencies of the 5G were tested at the time nearby in Loppersum? Local residents are convinced that this incident has to do with testing 5G and wondering what effects this will have on people. Of course, we owe much to science! What we are dealing with now is a science that has an expensive price tag. Looks like a science that gives a child a fire, but does not warn of its dangers. And if it has escaped you. After 15 years of research, a new result came out on 22-3-2018: radiation is carcinogenic. What if insurance companies soon exclude the risk of harmful EMV effects? They do see the risks. So Mrs. Keijzer (..) you are now on the move. Politics is up and in the interests of public health, it needs to take control (back) and take responsibility for the welfare and health of its citizens. Please put a brake on this incalculable, unsafe and irreversible technology, let yourself be informed by the many independent experts and suspend the experimental phase! The full letter to the Secretary of State can be found here . And an overview of all 239 letters here . Let’s proceed to setting up 5G free zones! At the end of the article I argue for the establishment of 5G free zones by active groups of citizens. Every street and neighborhood, every village and every city can declare its area 5G free and ensure that no antenna comes into it. A group of 180 scientists from 36 countries strongly warned against the harmful health effects of 5G networks and urged the EU to introduce a moratorium. Thorough research by independent experts on possible health risks must first be carried out before the large-scale roll-out of 5G networks can commence, according to a letter to the European Commission. The call is up-to-date because pilot projects with 5G are starting in several European countries. In our country at three locations in the province of Groningen: the Zernike Campus in the city of Groningen, in Loppersum and at Vierhuizen. A 5G mast has also been placed above the Leidseplein in Amsterdam. Click here for the full English-language letter from the scientists, including the list of all signatories. The signatories are seriously concerned about the ever-increasing exposure of humans, animals and the environment to high-frequency electromagnetic radiation (EMF). The introduction of 5G in particular will increase exponentially because both the frequency and the transmitter density increase more than one hundred times in this application (from MHz to GHz and from 1 mast per approx. 4 km2 to 1 transmitter per 10 homes). Much research into the effects of the existing radiation sources (GSM / GPRS, 3G, 4G, Wifi, DECT, UMTS, etc.) already shows that already at radiation levels under the legally permissible (and safely assumed) norm a major influence on living organisms is caused. . The effects include an increased risk of cancer, cellular stress, more harmful free radicals in living tissue, genetic damage, reduction of fertility, neurological disorders and a negative impact on learning processes, memory function, and general well-being of people. In addition, health damage for children is much greater because young tissue is more sensitive to EMF. The consequences of 5G naturally extend beyond humans, because there is also damage to other life forms such as plants and animals. The EUROPE EM-EMF Guideline 2016 states that “there is strong evidence that long-term exposure to certain EMFs is a risk factor for diseases such as certain types of cancer, Alzheimer’s disease and male infertility”. Common EHS (electromagnetic hypersensitivity) symptoms include headache, concentration and sleep problems, depression, lack of energy, fatigue and flu-like symptoms. The current safety standards are determined by the industry itself and have therefore certainly not been realized through independent research. Moreover, only the physical effect of radiation in the form of the temperature rise of salt water under the influence of electromagnetic radiation is examined. Biological effects are not included in the determination of the safety standard at all. (In fact, all life forms in radiation-proof areas are already guinea pigs for this industry, and that threatens to increase exponentially by 5G). The EUROPE EM-EMF Guideline 2016 states that “there is strong evidence that long-term exposure to certain EMFs is a risk factor. is for diseases such as certain types of cancer, Alzheimer’s disease and male infertility “. Common EHS (electromagnetic hypersensitivity) symptoms include headache, concentration and sleep problems, depression, lack of energy, fatigue and flu-like symptoms. Because people usually do not notice anything physically about these radiation sources and people rely on the safety standards that the government uses for this (in the Netherlands the Health Council sets this standard on the basis of EU recommended ICNIRP limits), people think they are safe. This idea, however, is extremely naïve. In current applications, there is still some influence on the radiation level (eg wifi at night off or computer on a cable), but with the radiation of the 5G network is no longer to escape because of the high density and high frequencies. The signatories force the European Commission to force a moratorium on this development because current safety standards exclusively protect industry and not health. They want an answer no later than 31 October 2017 and that all data about this will be made public (starting with this document).